Chandra learns what it means to be giving to the Purifying Fire. The Purifying Fire won't kill Chandra, but it will cleanse her. "Cleanse me of what?" said Chandra . "Of your power. It will purify you," Walbert said with evident devotion. "The Purifying Fire will eliminate the destructive poison of fire magic from your existence. 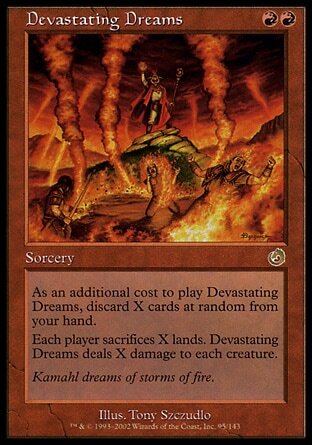 It will forever sever your bond with the corrupting force of red mana." Chandra is to be living example of what happens when people oppose the Order. Once everyone sees the great and powerful Chandra stripped of her abilities, once she becomes stuck on Regatha no longer to flee so everyone can see what happens to her, everyone will agree to be bound by rules of the Order. Even Keral Keep. (I don't know about that plan. If he actually sticks to his word and says he won't interfere... that kind of negates any demonstration of power he shows because they know he can't act on it. Chandra protests that the Keralians would never do that, but Walbert tells her that he has seen it. Chandra tells him she agreed to be executed, not to be put on display, but Walbert corrects her and tells her that her agreement was to surrender herself to his custody. 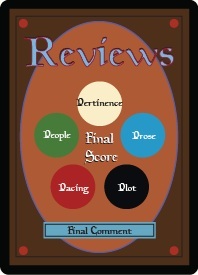 Chandra leaps over his desk and punches him in the face, but before she can strangle him the guards come barging into the room and subdue her then Walbert casts a spell that binds her wrists together. 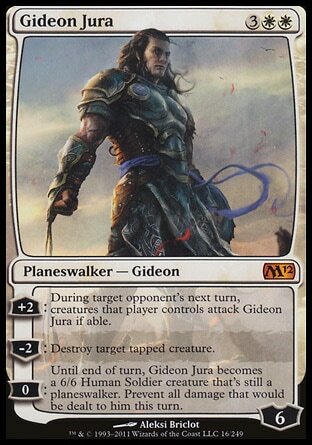 The high priest looks over at Gideon and asks why he didn't lift a finger to help. Gideon comes to see Chandra, she tells him she doesn't want to hear any kind of apology that he didn't know what Walbert was planning to do. Gideon tells her that's not why he's there, too many people would have to die for that to happen. She begs him to just kill her then, but he won't do that either. But there may be a way out. He's just come from the Keepers of the Purifying Fire, secretly probing them with questions to find a way so Chandra can avoid her fate. Gideon crossed the room and sat beside her on the cot. "The Fire is very ancient, much older than the Order. Before the Temple was built, there was another temple that existed on this spot. Smaller, humbler. This place has been a holy site as far back as Heliud. The priests and priestesses of the old faith here, long ago, worshipped the Purifying Fire, and people came from all over Regatha to give themselves to it." They gave themselves to prove that they were worthy. Those who survived became priests or priestess of the faith. Those people survived by entering the flames with a clean soul. 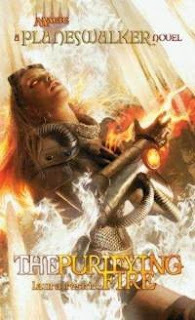 Chandra must come to accept the weight of the responsibilities of her deeds throughout her life, without lies or excuses. That sounds too simple to her. And at the same time so complex. She's done so many things throughout her life. Gideon asks her what is it that gives her nightmares . Chandra shakes her head and says she can't talk about that. 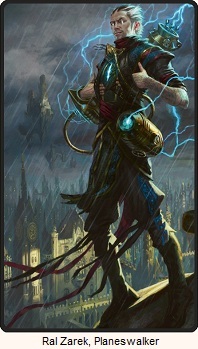 Gideon waits patiently, not moving nor speaking, and Chandra finally tells him. She caused the death of her family and her whole village. "I was raised in a traditional mountain village," she said, "on a plane I'll never go back to. My family were ordinary people. Decent people. My father was gentle. My mother was strict. I had two younger sisters who irritated me, and an older brother who I adored. He taught me to ride, and to fight, and... well, a lot of things. He was killed in the war. By then I had already discovered..."
"Yes. I played with fire in secret, going off alone into the hills to practice, even though it was forbidden." It was forbidden by her parents who didn't understand it, and by the elders who wanted to obey the law, and by the law itself which was created by the new ruler after their lands were occupied after the end of the war. But Chandra didn't stop. She didn't know what she was, but she knew she didn't want to be like any of them. She couldn't settle for village life and so she kept on practicing. One day when her parents told her about a marriage they arranged as an attempts to settle her down, Chandra went off into the woods to release her anger. She set off an explosion in the forest because she wanted to frighten everyone. But the explosion was misinterpreted by the soldiers. They thought it was a rebel attack and had everyone locked up in the buildings closest to the fire... and everyone was burned alive. She heard her mother's screams. Chandra fought the soldiers, and killed for the first time, but she couldn't save anyone. But she was inexperienced and the soldiers captured her fairly easily. With everyone dead, she lost the will to live and was ready to give up. But as the sword was coming down towards her neck, instinct kicked in and she wanted to live. That's when she planeswalked. She took a few steadying breaths. "Sometimes since then, I've wanted to burn down the whole Multiverse." "No. I never wanted to." She came to the monastery so nothing like that would ever happen again. Gideon asks her if her ghosts weigh as heavy on her now. Chandra looks within, and while the sorrow is still there, the burden isn't as great. She feels better. She thinks she can face whatever happens today. 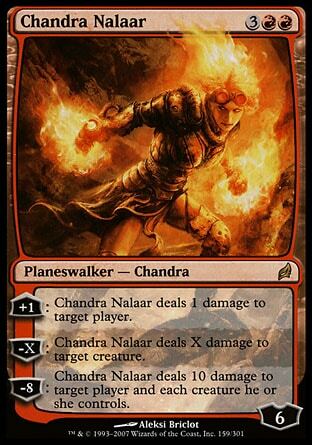 Well I was almost right when it came to "cleansing" Chandra. I thought that was just going to be a euphemism for killing her, but he actually wanted to strip her of her power. Although I was right that she blames herself for her families death. Although that was an easy guess. I do like that her guilt expanded beyond that, to feeling guilty for the deaths of her whole village. When Gideon gives her the explanation of what people used to do with the Purifying Fire, he makes it sound so clear that people were either purified or killed. Then for some reason Chandra tells him that she won't die, then he looks her in the eye and says that she will, with both of them understanding that a life without her abilities is a metaphorical death. I really hate that transition. There's a missing piece connecting the past to the current situation. Has the Purifying Fire changed how it behaves since that time long ago? No one in the present knows for certain because it was explained that no one living today has ever stepped into the Purifying Fire because of fear of being stripped of their power. Not even Walbert has gone in. And again... there's that missing detail about why aren't they afraid of just dying by stepping into the fire, and are only afraid of losing their power? Oh well. One more chapter to go!